I created this delightful little card after being inspired by a t-shirt that I saw at Sask Expo in 2016 (that was a really good year for the expo). A lot of my inspiration for cards and artwork comes from t-shirts that I see, especially the ones I see on the children at work. They have such amazing puns. This is one of my favourite cards to have at a market to be able to watch the different reactions of the people that see it. 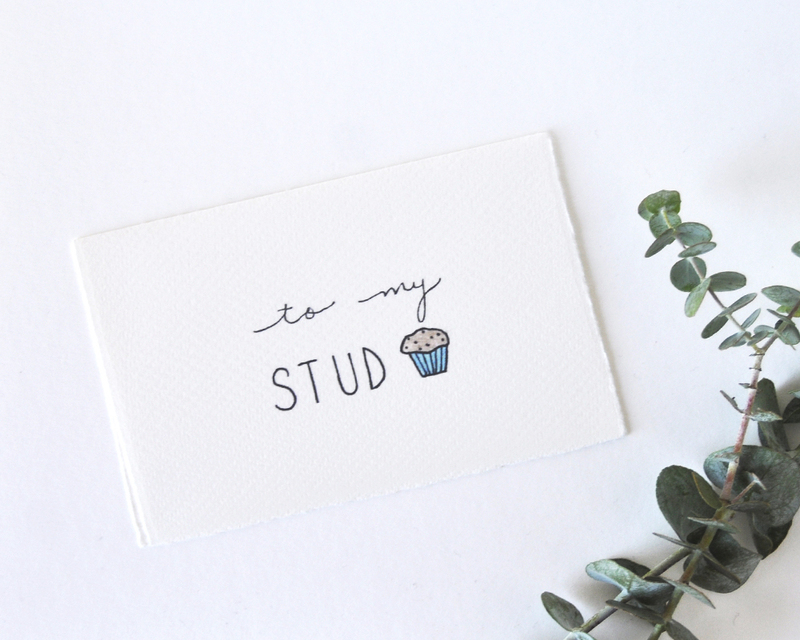 Sometimes people don't notice the little muffin at the end (or realise that's what it is) and just stop at the word "STUD", which works too!